Barcelona president Josep Maria Bartomeu has revealed he met with Antoine Griezmann's agent earlier in the season - but is giving little else away on the club's reported interest in the Atletico Madrid striker. 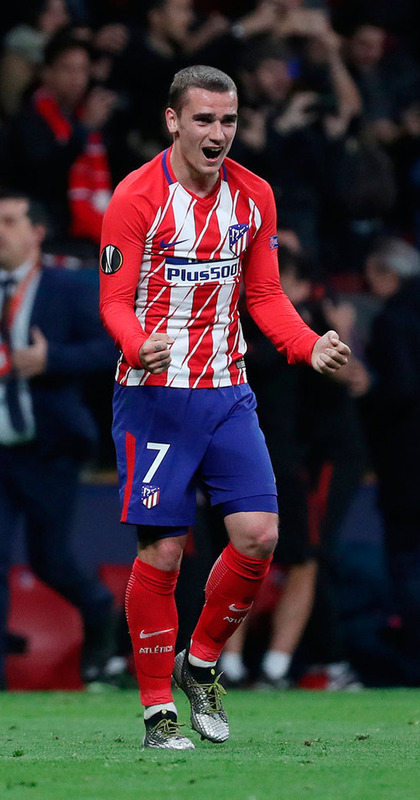 Griezmann has been heavily linked with a move to the Nou Camp, with speculation in Spain that a €100million (£88million) switch will be completed this summer. Bartomeu was quizzed on the France international during a wide-ranging interview on radio station RAC1 and, while he preferred to keep his cards close to his chest, the Barca chief did confirm he had contact with Griezmann's representative in October. He said in quotes reported by the Spanish press: "We don't talk of players from other teams. We're analysing the season and what we'll do with the signings and departures. "I saw Griezmann one day on holiday. I haven't spoken with him this year. "We have a relationship with his representative, like we have with other representatives. "It was last October, it was a meeting, but nothing more. There's no need to create further speculation." Bartomeu also said he has spoken to Atletico president Enrique Cerezo and chief executive Miguel Angel Gil Marin about "many things", without going into specifics. "We've talked with Cerezo and Gil Marin about many things. The relationship between the clubs is good. "But it's not the moment to talk about these matters. You cannot talk about players who play at other clubs."